Good morning. 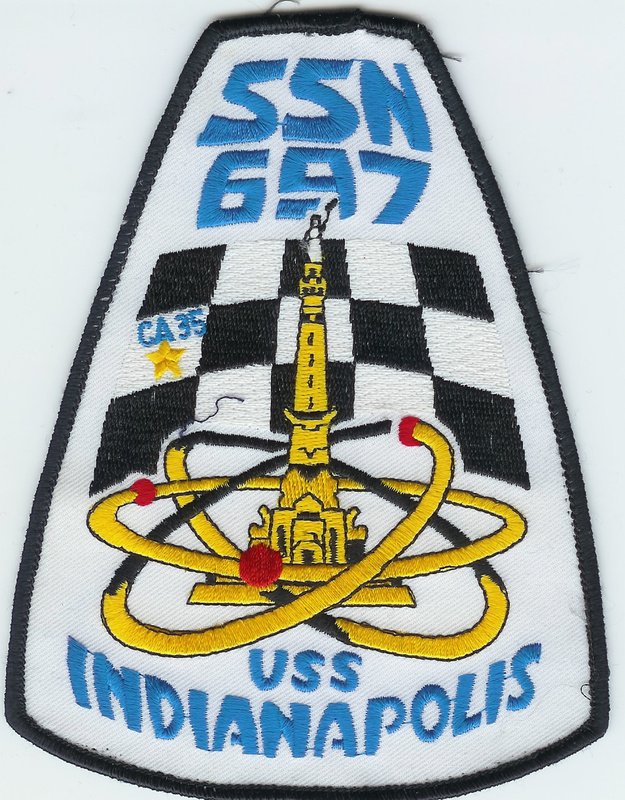 For the past few years, I have been searching through Naval Records, newspaper articles, period books and a number of other sources to help complete the picture of one of the greatest heroes the Navy has ever produced, Captain Cassin Young. The journey has had a lot of twists and turns but I am nearing completion of the project. I am missing one crucial element of the story that the rest hinges upon. 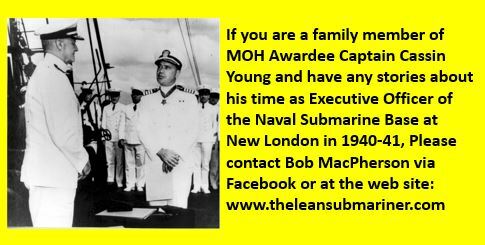 During 1940-1942, then Commander Young was the Executive Officer of the Naval Submarine Base in New London Connecticut. 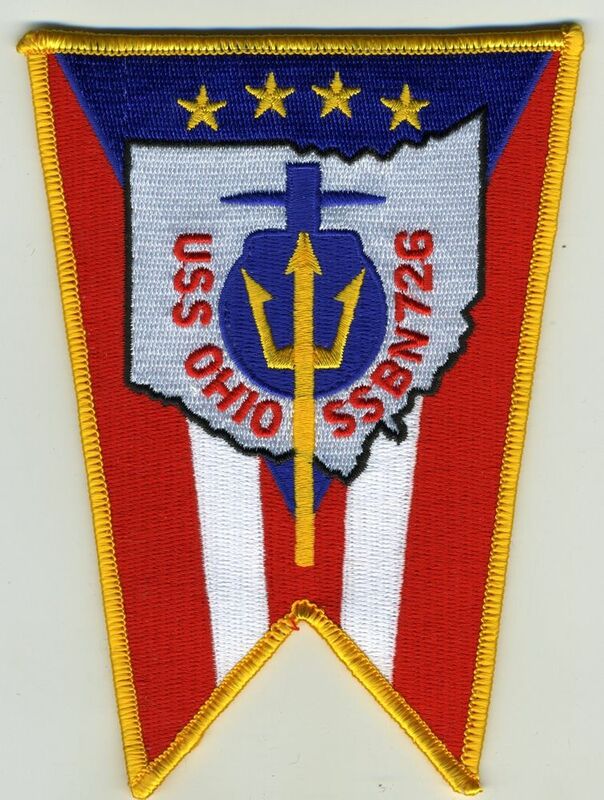 He was a submariner from his earliest days in the Navy during some very pivotal times and served as a Submarine Squadron commander prior to this assignment. But something happened at the base that changed the course of his life. I have part of the story but it comes to me from a second hand source. The only way I can validate it is to speak with a family member that can corroborate what I have found. I have reached out to them on social media and in other ways but so far no response. So I am taking a shot in the dark. I am asking that if you read this, you would consider sharing it to your own Blog or to any social media that you are connected to. Have them reach out to me here at theleansubmariner and I will do the rest. When I started the project, my motivation was that so little was known about the amazing life and service of an American Hero. Last Christmas, I was given a book about Pearl Harbor and the author and one of the men he wrote about alluded to something that was both reprehensible and unthinkable. They attacked someone who had spent a lifetime preparing for just the moment that occurred on that December morning in Pearl. My book will show a different view of those events based on many sources. I feel compelled that the rest of the real story be told. The time period Young spent in New London would help to fill in one last gap in the book. Any help would be appreciated. I’m curious about what this is about. What book did you receive about PH that discussed Young’s career as the Sub Base exec? Would you summarize the content? 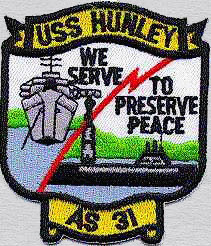 If I had been Young, my personal priorities would have been identical to Navy policy and tradition: don’t give up the ship! (VESTAL); save your own crew of 90+ men from incineration/drowning; and don’t get burned alive yourself. NextAdversity is a refining fire.